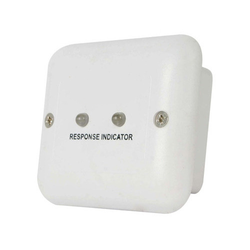 Leading Manufacturer of response indicator from Pune. Response Indicator that is widely popular Response Indicator. It is manufactured as per the set industry standards using premium quality components and modern technology. The offered product is available in different technical specifications to meet the diverse needs of the clients. Offered Response Indicator is available at reasonable rates.